Anonymous Sai Devotee from India says: Hi dear Hetal, This is Sai's daughter GM from Delhi / NCR and alive today with Sai Baba's blessings. I want to thank you for making such a beautiful platform for devotees all over world, by Sai Baba's blessings; I'm attaching my experience here. I want to stay anonymous and introduce myself as Sai's daughter. Please feel free to edit and let me know, if I need to correct. Regards! First of all, thanks to Sai Baba for giving me an opportunity to share His grace and miracles, This writing is itself a miracle because I only know that like Hemadpant, how difficult I found to share about Him - The God. I am trying to write about Sai Baba's miracles since August 2015, but it always made me feel that I was not able to do so, as I may not be able to justify explaining His mercy and choose from so many daily miracles of Him. As I feel most of us are too selfish to be graded as devotees, as we worship God in need and forget Him till we again feel helpless and needy, because " We see God only when we are not able to see others’ help " (Jab koi nazar nahi aata, to bhagwan nazar aate hein). 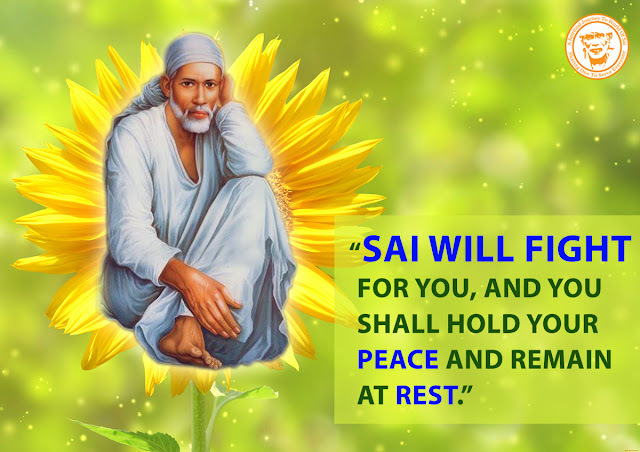 I have seen many devotees like Hetal Patil and Ranaji, who are blessed from past lives and are chosen ones, as they love Sai in true sense, which everyone can see. I'm thankful to Sai to make me experience and share a common platform with them to express my feelings. There are many real devotees' experiences whose faith leaves you spellbound and motivated to learn to surrender. I'm thankful to all those contributing to site in forms of excellent graphics, quotes and experiences too. Om Sai Ram ! May Sai Baba keep blessings His shower on all of us. I was actually introduced to Sai Baba through my brother, when he started with a translation business and got his first assignment to help with translation of Sai Baba’s book page from English to Hindi. He asked me to help for same and I really found it very tough, as many of the words' meanings were not available even in multiple dictionaries. But anyhow I did it to help him. Then the person, who asked him for sample translation, gave him another full chapter for translation. The client actually wanted whole book to be translated but he wanted it chapter by chapter. It was in 2005, and not many cities had Sai Baba temple and there were very less people believing and knowing Shri Sai. Sai Baba chose him and myself for the noble deed, as may be He wanted to wash our karmas, as that time I was struggling in my career and also for marriage. Still, again I did complete that chapter with great efforts, my brother asked me if I could do some more, as it was a charitable work, I told him, see I don't have any time for all this; as my job in MNC was very tough and I was studying side by too. He requested me but I almost shouted at him that you wasted my so much time and don't bother me. I really feel sorry for that now. As like many other girls I used to do Monday or navratri or Thursday fasting, for marriage and other wish fulfilments. Many a times, I did it for worship too. But like most of us, I did spiritual readings, rituals and fasting like a routine and we used to forget all, once the wishes got fulfilled. Such are we human beings, not all but mostly. I never realized until late that it was His special blessings on me. Soon a big Sai temple was made and then one after the other. I am from a religious and spiritual family and I used to worship all Gods right from childhood, I still do that. I started to hear many stories that He fulfils wishes easily. So I also got few of my wishes fulfilled, thanked and then continued with routine life. Sai Baba also called me to Shirdi in 2005 and there also I got another wish fulfilled by praying for a friend, who was in immense pain due to gout. Thanked and moved on. It's only in 2015, when I got into critical health condition and felt the need of a miracle. I started searching for miracles on google and got this site, as well as Sai serial videos, understood the importance of faith and devotion. Since then, I'm seeing so many miracles of Sai Baba and believe strongly in "Sabka Malik Ek", got to know about Sugar Candy puja, 5 Diya puja, Sai Satcharitra Saptah Parayan and Nav Guruvar Divya vrat. Right now, if I don't say Om Sai Ram, I'm not able to see even the thing kept in front of me. I even thought of writing a book to include my innumerable experiences, I feel really happy to read all experiences but guilty too, as why I'm not able to share my thankfulness for Him. Today when I had slept and felt like Sai Baba was telling me to wake up and allow me to write, as Sai only can write about Himself. I intended to share many miracles and this is my first post here. I will request all to worship God out of love and not for wish fulfilment, though by any ways, it’s good to take Sai Baba's name. Keep the "Faith" and "Patience". I got another invite to visit Sai Baba's Shirdi from Sai Baba in Jan 2016 and that was a time, where I really needed Him. Though, a leaf cannot move without God's permission, but we realize it only, once we try all options, our intellect and smartness. I'm really thankful to my dear Sai Ram for all His love, miracles, darshans, visits to Shirdi and what not. I pray Sai Baba to bless me with His real love, which indeed is there, right from start and I want Shri Sai to bless me to keep it growing and moving ahead on spiritual path. I'm really thankful to this site to help me know many new ways of Sai Puja and will like to share one new with detailed experience in my next post. Thanks for reading my long post to all, and thanks in advance to the site team for sharing this! I really cannot express my happiness after sharing my introduction with Sai Babaji. Om Shri Sai Nathay Namah! Om Shri Sachidanand Samarth Sadguru Sainath Maharaj ki Jai! Anonymous Sai Devotee from India says: Om Sai Ram! This is my third post and each day Baba proves me that He is far beyond our imaginations. I have posted my previous experience on 6th Feb and just a day after Baba made me mesmerized with His leelas. I was very sad last day (6th Feb) and apologized Baba for my sins and mistakes. I didn't know that He would listen to my prayers so soon. On 7th Feb, I with my family decided to go for our Isht Devta and I was really upset and hoping everything would be fine soon. I didn't even asked Baba to show up His presence, it was just a thought in my mind as I knew Baba was angry on me. But to my surprise, as we reached mid-way and stopped at hotel, I found a big photo frame of Baba. I was so happy and tears were about to roll off. It gave me goose bumps. I thanked Him as He showed me that He was not angry anymore and was with me. Later, while we were on road, it was a sudden collapse that would have happened but in just a nick of time and we got saved from a big bang. We were riding at 120km/hr on highway and suddenly a bike travelling to our left turned to our right for crossing the road. My driver just managed to save us and it would have killed any of us if not averted. But Baba would never ever leave His child's hand once He holds it. We got saved just because of Baba. Story doesn't end here. As we were returning I saw Baba thrice again. God it was just like a cherry on cake for me. I was looking out of window at sky and just imagined Baba on clouds and you will believe me, I saw an image just like Baba's appearance (only face). My happiness had no bounds and it was so surprising and motivating I can't even explain you. Just a day before I was crying like hell and next day all this happened. To my biggest surprise, I got an email from my GF who is currently in US and we have a lot of issues going on regarding our relationship. We stopped our all contacts since last one month and I prayed Baba to bring her back into my life and for this, I started Nav Guruwar Vrat (I have completed 5 already), started Saptam Parayan which is to be concluded on 8th Feb but Baba wanted to finish this in His style. He provoked me to complete it today itself (7th Feb) and see I got email from her. I am so happy that Sai Baba is really with me and He exactly knows where and when to give. 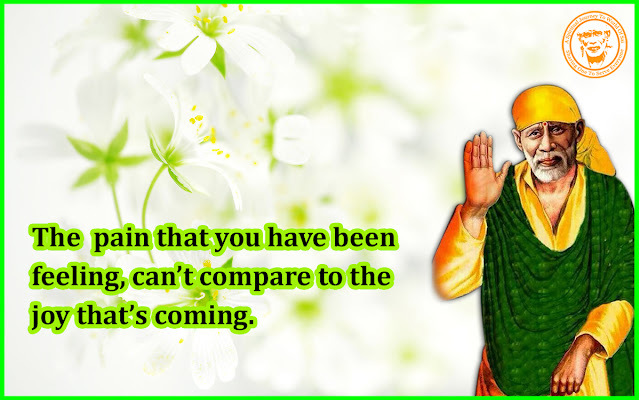 I just want to say to all Sai devotees that never ever lose faith in Baba. He gives toughest battles to His strongest soldier just remember that. And as soon as He realize that His devotee is putting all efforts, He starts showing His leelas that you could never even imagine and gives you more than expected always. Mark my words, if Baba holds hand of any person, He would never ever leave Him in between. He might test you here and then but would give you loads of happiness in your life and that’s His promise, He never lies. I love You Sai Baba and just hope that after completing my Nav vrats, You would definitely fulfil my desire. Om Sai Ram! Anonymous Sai Devotee from India says: Its an experience where Sai Baba didn't leave me in one of the most difficult phases of my life. Om Sai Ram! Sai Baba has always been there for me, no matter what. I had my final exams in 2016. Even though I had studied, during exams my confidence dropped down. I was restless, I had no hopes. I felt like I was in hell. I went into depression too. I used to cry in front of Sai Baba. On a particular exam, I was not ready to go for the exam because of the extreme fear and tension. But my mother gave me strength and confidence and told me to keep full faith on Sai Baba and attend the exam. I could write it well all because of Baba's grace. After my theory, I had a few days gap for my practical. During this period I went to Sai Baba’s Mandir nearby and luckily I got to attend the dhoop aarti. I felt like Sai Baba was telling me not to worry, He was there to take care of me. 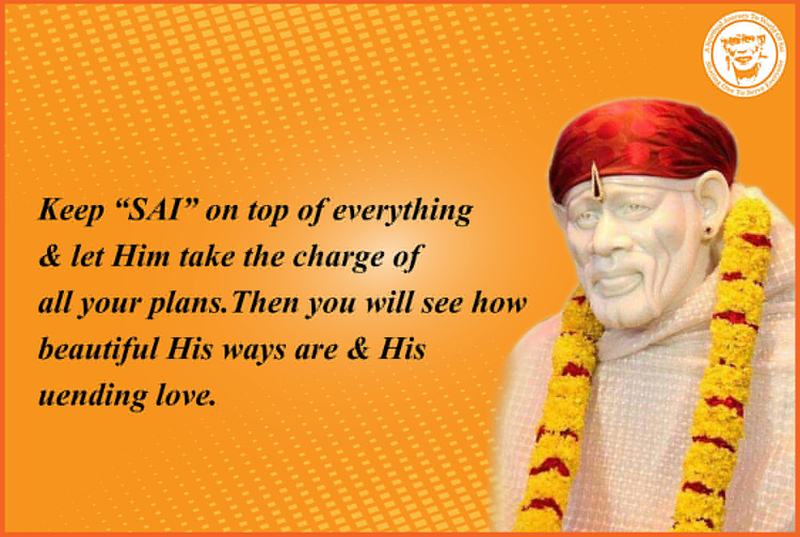 I passed my exams only because my Parents and Sai Baba, Who were there to give me strength. And after my exams I received my copy of Sri Sai Satcharitra on a Thursday. That was the happiest moment for me. 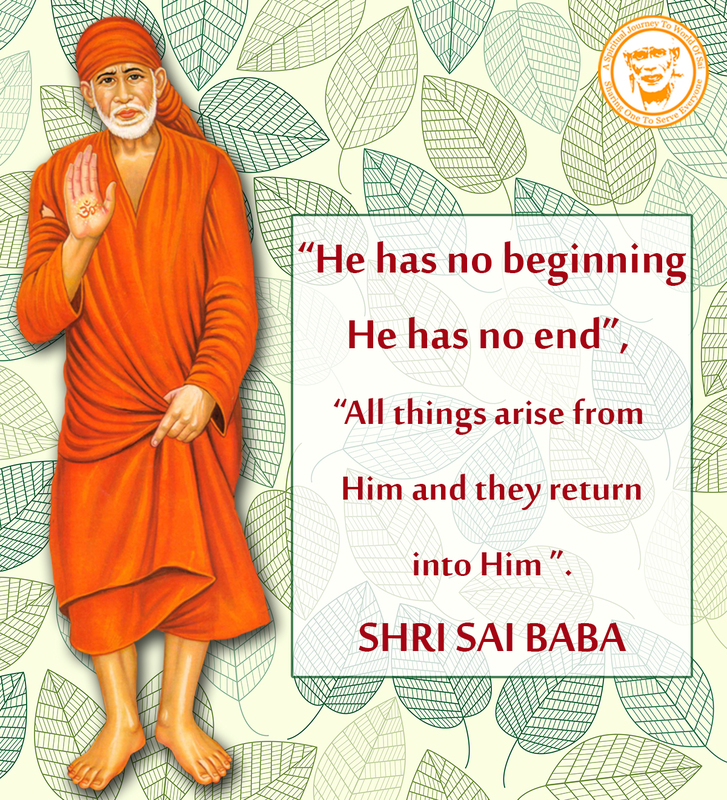 Sai Baba and His stories always give us hope and confidence. Sai Baba never leaves His devotees. I can just say, Baba's love is unconditional. He has been there for me in the darkest part of my life. Millions and billions of Thank You won't be sufficient to thank Him. Keep complete and unshakable faith in Him. May Sai Baba's blessings keep showering on all His dear devotees. When we keep complete faith in God, He tries to test us. 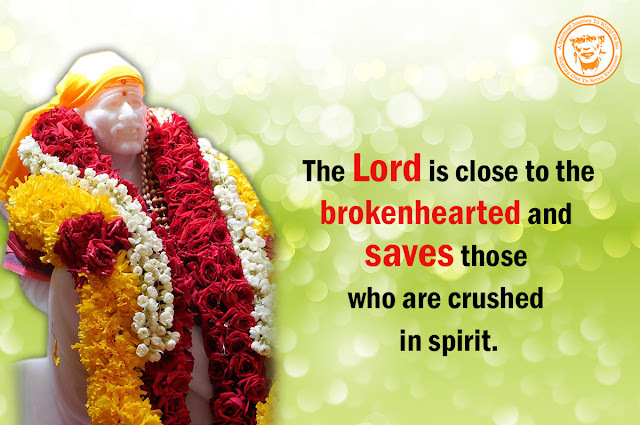 But let not the faith shatter, Sai Baba is kind and He will be there to rescue His devotees day and night. Sainath Maharaj Ki Jai Shirdi Ke Raja Ki Jai Jai Sadguru Sai. Sai Devotee Anusha from India says: Very thankful to Baba. I can never walk this world without Your hand! I am married for four years now, and my husband is very calculative about planning anything in life! I am very ambitious and love kids, getting married delayed my next step of studies. My husband is not ready for kids too! It only frustrates me! We get into arguments trying to explain each other’s views. But this time it went little over board where we went physical and hurted each other, which was not at all our intention. We were just fine soon after the fight. I saw my husband’s hand was blood red with a swelling. Being a doctor I knew that the swelling would subside but the redness would time to come down. And we were going to meet our parents that very week! We didn’t want our parents to know that we went physical, because inspite all of that we love and care for each other! I swore to Baba that I would never go overboard next time and to forgive me for this very time and make sure the redness comes down before we met our parents. Till the day before it hadn't reduced a bit but on that particular day there was no mark seen at all, in fact we even forgot how it looked like! I know You taught me a very good lesson Baba and I will never break Your trust on me. Thank You so much Baba. Sai Devotee Devipriya Sivaraj from India says: I am Devipriya. I am a great devotee of Baba from my college days. I have already posted many of my experiences with Baba and now it's another experience which I want to share. Firstly, let me thank Hetalji for creating such a platform to share our experiences. I was suffering from severe stomach pain past one month. Actually I was scared to go to the doctor since I thought it might be a major problem. Finally due to severe pain in my lower abdominal region I decided to go to doctor. I just prayed Baba and went for check-up. Firstly, she scanned my uterus and everything was normal. But she asked me to have a scan of complete abdomen since she had a doubt that there might be a small stone in kidney. Finally when I had my scan done, everything was normal due to Baba's grace. I was really scared since I was just 25 to have a stone in kidney. Finally it was just an acidity problem. It was just due to Baba's grace that everything was normal. Anonymous Sai Devotee from India says: I am a Sai devotee from India. One of my uncles was using my ATM card for some reason. But yesterday he noticed that my account balance had reduced and so he asked me if I had withdrawn money? I said no. Then he told me that he noticed that balance got reduced. I prayed to Sai Baba that everything should be fine. I promised Sai if everything would be ok with my account then I would post the experience here. Then I checked the balance and it was all fine, nothing had happened as described by my uncle. Thank You Sai. Jai Sai Ram. Baba please bless everyone with good health and be with us deva and give success to my children in their exam thandri and show us right path deva. Om Sai Ram, Love you baba please bless my family baba. Baba, I love u always... I am holding your hand tightly, don't leave me ever. .